I’ve noticed something in the past few weeks that isn’t at all a new phenomenon, but seems hyper present in our marketplace right now: the artificial confrontation. I know it makes for good copy, but why are so many comparisons of late framed as though we live in an either/or marketplace? 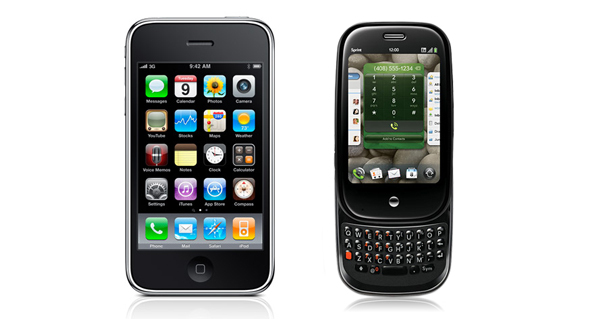 Why does the Palm Pre have to “beat” the iPhone? Why does Microsoft Bing or Wolfram Alpha have to “kill Google?” Why can’t the Palm Pre simply be a capable smartphone? Is market dominance the only measure of success anymore? Truth is, the Pre doesn’t have to sell more units than the iPhone in order to be a success. That’s a very good thing for Palm, now that the iPhone 3Gs has debuted to fairly unanimous chants of “long live the king.” The Pre simply has to sell enough. Likewise, I can search Bing, and I can ask Wolfram Alpha more meaningful questions, but that doesn’t mean I have no room for Google. Why have we reframed the discussion as confrontation instead of competition? My objection to this is primarily that it doesn’t actually reflect the reality of the marketplace. Using the Pre as an example again, I don’t think anyone at Palm anticipated that they’d convert a huge number of current iPhone users, or even significantly cut into new iPhone sales. So in this case, comparing phone to phone is not a really relevant to the buying reality for most of the people shopping for a smartphone. The real factor is network carrier. If I’m with Sprint, the Pre is really appealing — not because of exactly how it stacks up against the iPhone, but because it’s a capable smartphone that’s actually an option for me. Switching networks is a huge barrier if you’re still under contract. That also works both ways. Only the earliest of first generation iPhone users are even approaching the end of their original 2-year contracts, and many re-upped and upgraded to the 3G last year — so it’s not like they can easily or cheaply hop over to Sprint, even if they’re in love with the Pre. What’s the reality then? The reality is that now Sprint users have a great smartphone option that they didn’t have before. New customers have the best options of all, but I’d wager that isn’t who Palm is really going after here. I bet they’re mostly after the folks who don’t want or can’t have the iPhone, and that’s exactly who they should be after. There’s great success in being #2. Just look at Avis. Or even look at a different part of the tech industry — personal computers — where Apple is the stellar #2 player in the marketplace and probably always will be. They’re not out to kill Microsoft, because that’s not really a practical measure of success. I really do think that there’s room enough for everybody — or at least room enough for lots of competitive choice in the marketplace. Competition is great, but is this artificial sense of confrontation really necessary? Competition leads to more choice, to more innovation, to downward price pressure. If we only allow one winner, that leads to monopoly, to higher prices, and technological stagnation. Being top dog may have made Microsoft a lot of money, but it’s done it few other favors. The real goal then, I think, is not to be the best. The goal is simply to be great. Except perhaps olympic athletes, few who strive simply at being the absolute best at something actually achieve it. Rather, people of passion, determination, and vision with a desire to do something great often inevitably find success. My favorite example of this is the TV show Mythbusters. Here are five people doing what they really like to do, and it happens to make for really good TV. In business, I think that if great sales, rather than sales dominance is the focus, then you’re likely to succeed regardless of what percentage of the marketplace is yours. So let’s forget about being better and focus on being great.